Create Success In Your Love Life NOW! What’s affecting your dating success? Why can’t you find THE ONE? What’s holding you back from having a successful love life? Why can’t your ideal man seem to find you? Why do you keep attracting men who aren’t healthy for you and don’t give you the love and respect you deserve? How are you coming across to men (and how is it damaging your dating and relationship success)? Most importantly though, Raeeka will tell you what you need to do to CHANGE your approach to dating and your interaction with men, to create the love life that you’ve been dreaming of! If you are ready to find love, but aren’t sure where to begin, Raeeka has made it easy for you! 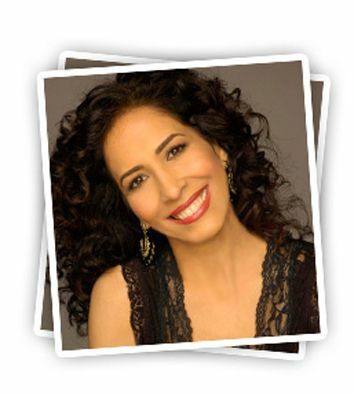 With 100% certainty, she considers the Dating Success Assessment to be the IDEAL starting point for your dating makeover! After all, how can you fix your approach if you aren’t even sure where you are going wrong? 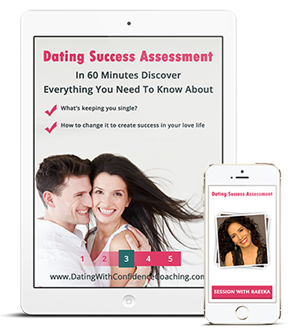 The Dating Success Assessment is one the most amazingly powerful tools I offer at Dating with Confidence™. I don’t want to see one more vibrant, exciting, and successful woman spend one more year of her life wondering where she’s going wrong with men and wondering why the high quality, relationship-worthy ones just don’t seem to be interested! Why do I love this tool? Because this is EXACTLY the knowledge that saved me from a dysfunctional, untrusting, emotionally and financially abusive relationship. It’s with the knowledge of this very assessment that my whole love life turned around and led me to the love of my life, Tim. If you are serious about finding love, I’ll help you save time, money, and heartbreak with this tool by giving the straightforward answers that you need and setting you on the right path to love. Using this awesome assessment, I can help you figure out the missing link in your approach to dating once and for all. In just an hour, you’ll get extremely valuable insight to help you understand your strengths, weaknesses, and patterns – the ones that are blocking the way to YOUR LOVE LIFE SUCCESS and negatively affecting your dating life. Equipped with this valuable information, I’ll design a plan of action especially for you, and show you how to turn things around so you can start attracting the RIGHT man RIGHT AWAY! 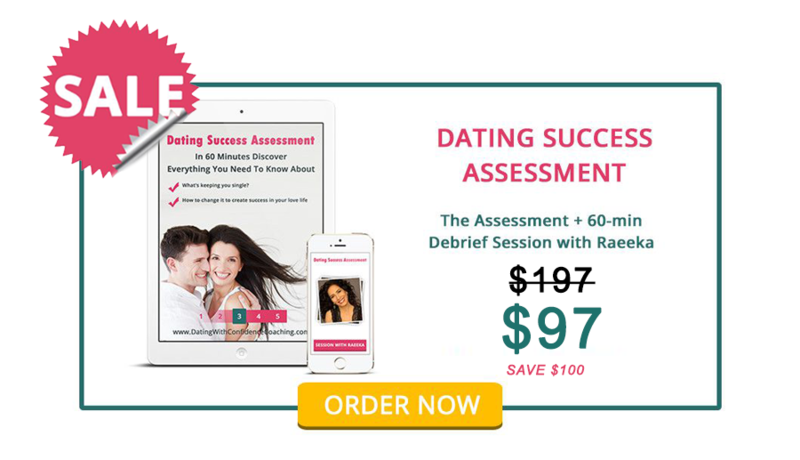 What is The Dating Success Assessment? 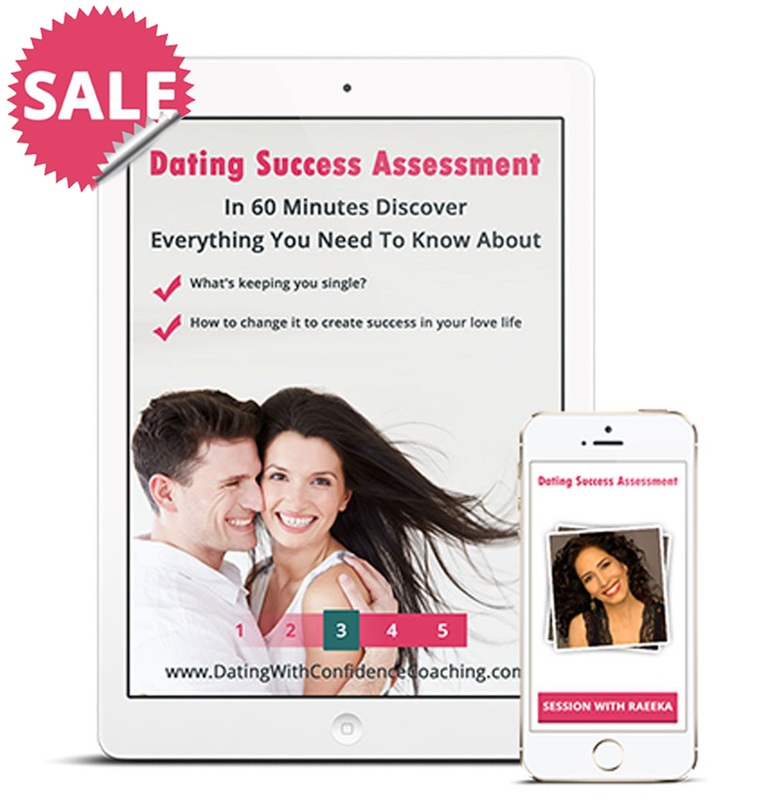 What Will Change After Your Dating Success Assessment Session? The Dating Success Assessment (DSA) is an in depth attitudinal assessment which will give you insight into the energy and subconscious messages you are sending out into the world, which affect how men view and experience you. The assessment will numerically index your behavioral pattern in a way that will make sense to you and reveal your hidden subconscious patterns and beliefs. This assessment will get to the bottom of your deepest questions and confusion about why, no matter how accomplished you are in your career, how many self-help books and magazines you read, how often you work out, and how on point you are with your wardrobe and beauty routine, you are still single! Let’s put it this way: this assessment is the expert insight that, up to this point, has been missing from your quest for love. It’s time to get serious and face your future with honest, helpful feedback that you can actually use! Taking the DSA is the pivotal step that will jumpstart your love life’s transformation process and enable you to achieve the result you want: to get on the road to finding REAL LOVE starting immediately! The people around you, no matter how close and trusted, are unlikely to be this honest, and may not know how to give you the insight you will need to get your love life to bloom. With the DSA, you are less than an hour away from discovering your personal map to dating success, and beginning your journey to your own true-life love story. The specific reasons why you are not attracting HIGH QUALITY MEN. What you are doing that is damaging your love life and keeping you single. What you need to do right now to create SUCCESS in your love life and find REAL LOVE. How Soon Will I Know My Dating Success Assessment Results? I know that you want to get started quickly – I’ll make sure that happens! Upon registering for your Dating Success Assessment, you will receive the online assessment via email within 24 hours on weekdays, 48 hours on weekends. Take the Assessment and hit the ground running! You will also receive an email with an invitation to schedule your Debrief Session with me to review your results and learn what they mean for the next steps of your love life journey. If you do not receive these emails, please contact us via email for assistance. * The “Dating Success Assessment” includes the Energy Leadership Index Assessment created by Bruce Schneider, Ph.D., and licensed through the Institute of Professional Excellence in Coaching.